Ever heard of Okinawa? Until recently, neither had we. 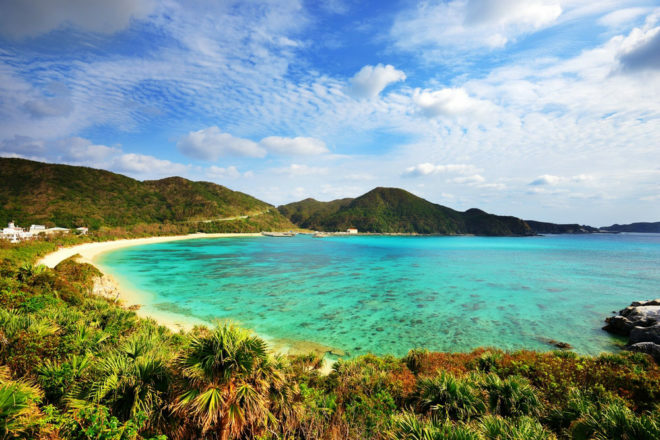 But with exotic landscapes to ancient landmarks, here’s why more of us should know about this idyllic cluster of Japanese islands. At the southern end of Japan, Okinawa Prefecture is a blessed melting pot of natural beauty, ancient culture and friendly locals welcoming travellers to experience the splendour of their homeland. Surrounded by azure waters and one of the largest colonies of coral reef in the world, there is no shortage of diving and snorkeling hotspots, not to mention freshly-caught sashimi. On land, sprawling untouched forests are home to some of the rarest plants in the world, especially places like Iriomote Island, dubbed the “Galapagos of the East”. But no exploration of Okinawa is complete without visiting its nine World Heritage-listed sites – remnants of the Ryukyu kingdom that prospered here centuries ago. Traditions from this ancient time can still be seen in many local customs, passed down through generations.